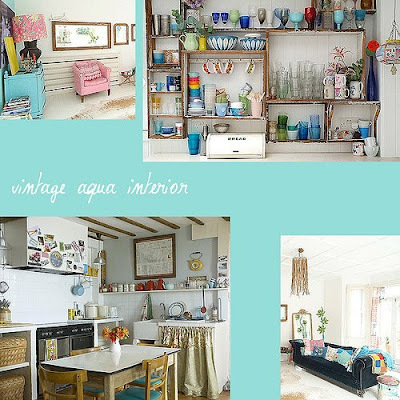 got me thinking about the oh so lovely vintage aqua blue color! (check out my etsy store for these and more! Link is at the top of this page) aren't these images delightful? I love that towel and the colors too. They are so welcoming. I too love aqua. 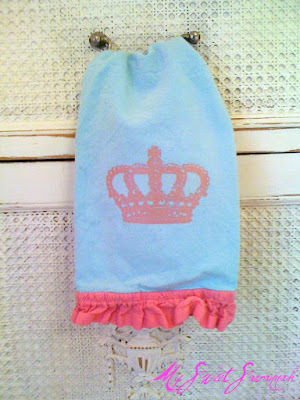 The towels are gorgeous! P.S. I love your new profile photo. You look beautiful! 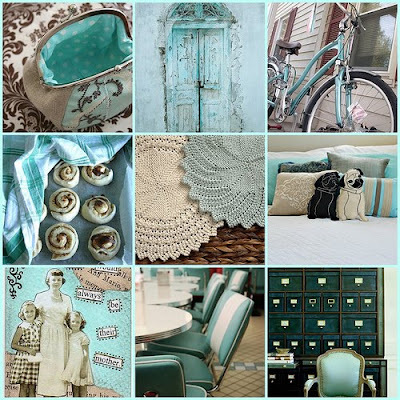 I think I am going to need one of those aqua blue tea towels...my kitchen and living room are a dark brown color and I love to add pops of color throughout....thank you for the inspiration pictures too!!! I love your blog, I am a huge fan!